Sumulong Highway stretches from Marikina City (junction with J.P. Rizal Ave. and continuing from A. Bonifacio Ave.) to Antipolo City (junction with the Circumferential Road). It is one of the main access roads to the Shrine of Our Lady of Peace and Good Voyage, which is perhaps the most visited shrine in the country. I don’t usually dare to take photos along this road when I’m by myself as I have to concentrate on my driving and be aware of other vehicles, cyclists and pedestrians I encounter along the highway. At some sections, people and tricycles seem to come from all over the place and may pose problems to new drivers using manual transmission vehicles, who might have difficulties working the clutch as they drive up to Antipolo. Downhill, it also quite dangerous and one wonders how many drivers of cars, jeepneys and trucks get away with their aggressive behavior along the highway, often putting other motorists, cyclists and pedestrians at high risk of getting involved in crashes. 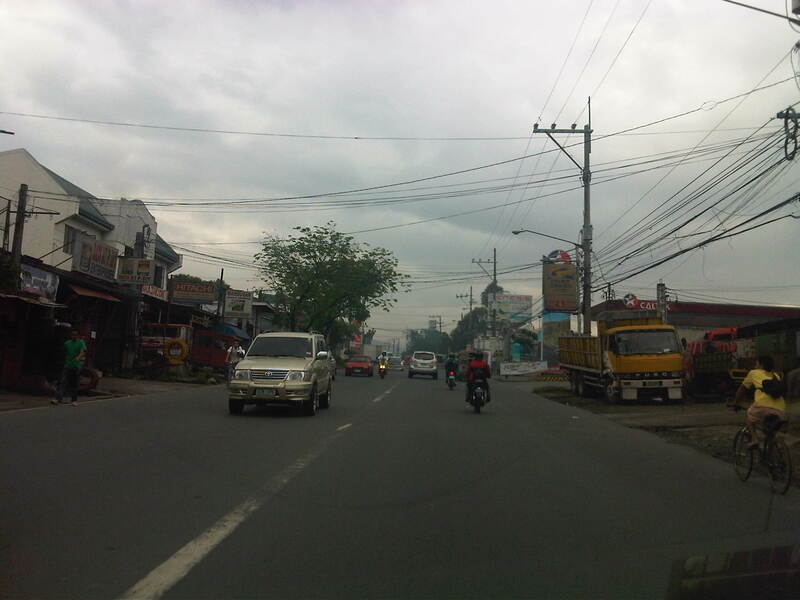 Following are a few photos I managed to take en route to a seminar in Antipolo. I would caution anyone not familiar with the highway to not attempt taking photos when there are many vehicles or people on the road. Weathered – section right after Masinag Junction where vehicles on the left are bound for Masinag. The section has 4 lanes with faded or no markings, no shoulders and no pedestrian facilities. There are significant on-street parking including those in front of auto repair shops. Encroachment – houses and other establishments have encroached on the RROW, making it practically impossible if not too costly to appropriate space for pedestrian facilities. 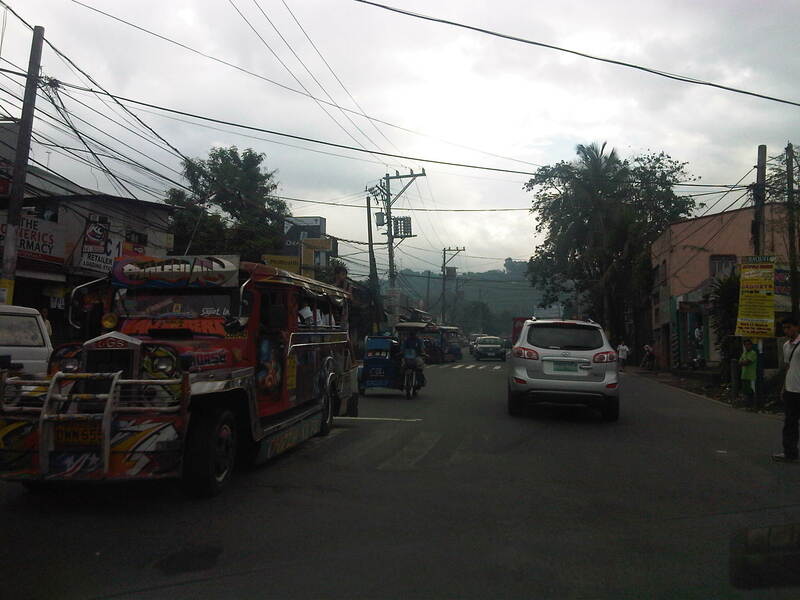 Local transport like tricycles and pedicabs regularly use or cross the highway, often being the cause of congestion along Sumulong. Road works – concreting of shoulders along the stretch near Town & Country Estates. You will encounter many cyclists using this route. During some Sundays, the Antipolo Feast Day and the Holy Week many people may be found walking along the road, many on pilgrimage to the Shrine. Perhaps cyclists and people are now using the concrete shoulders, reducing but not eliminating the likelihood of being sideswiped by motor vehicles. 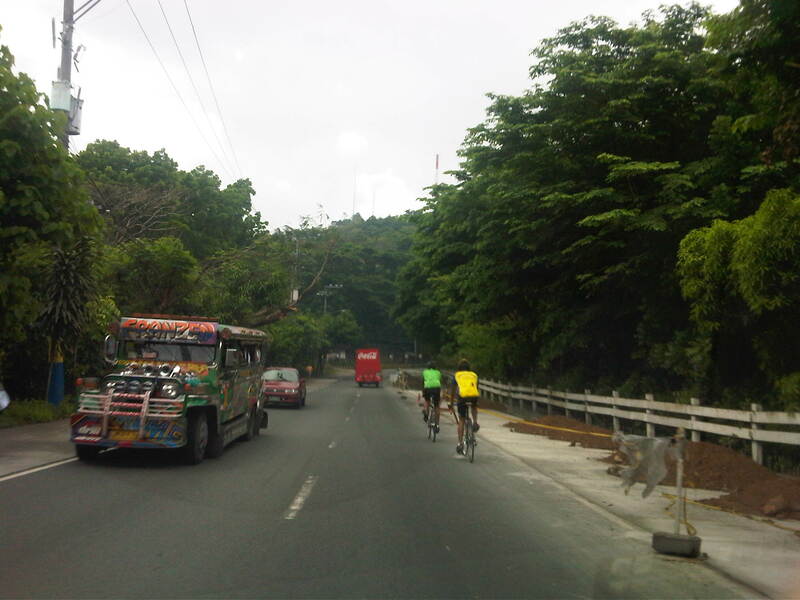 Curvature – shoulder works along Sumulong Highway should be complete by now and offering space for cyclists and pedestrians. Of course, these could also be used by slow moving vehicles or those pulling aside to stop (for whatever reason) to allow other vehicles to pass. 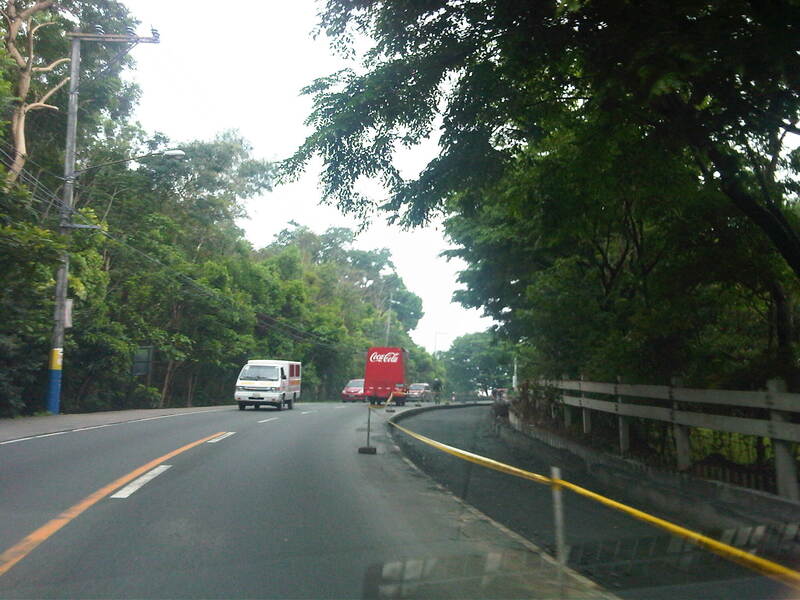 I hope Sumulong Highway would have provisions for walking safely to and from the Shrine. A lot of people flock to the church not only during its Feast Day, Sundays and the Holy Week. Many people would also be interested in hiking along this way if they only had a safe way from Masinag to the Shrine. The space is limited and there are many conflicts along the way but I also remember that the same corridor was considered for the LRT Line 2 extension to Antipolo Cathedral. Surely the RROW would allow for pedestrian facilities on one side of the road if some due diligence is performed to determine the extent of encroachments along Sumulong. By d0ctrine in Highways and Streets on April 15, 2012 .